SKU: 2000001 Tags: AF heart monitor, afib monitor, cardiac event recorder, heart rhythm monitor. 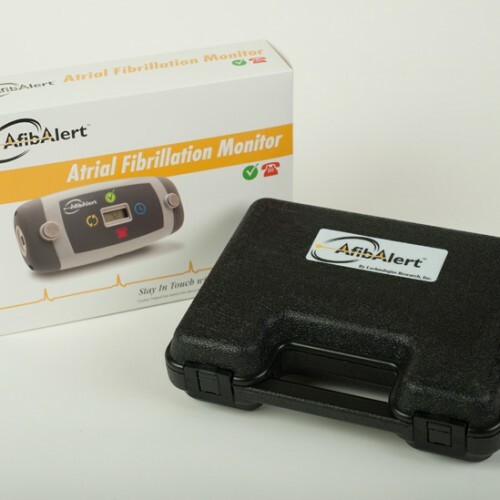 The AfibAlert® allows clinicians to quickly capture a high quality single lead ECG from a patient in any type of setting. It also immediately detects if Atrial Fibrillation was present during the 45 second ECG that is recorded. 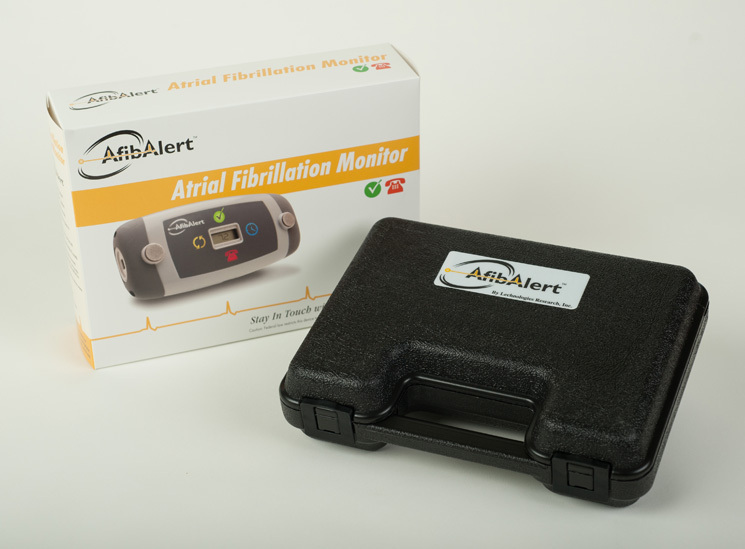 The AfibAlert® Physician Kit includes the Clinical Manager Application which allows you to use a single device with many patients during regular visits in the exam room, while patients are waiting to see their doctor or during health and wellness screenings. It can also be used as an event recorder for a patient to take home with them for a period of time to catch those elusive arrhythmias that were missed by a traditional Holter or event recorder. The Clinical Manager Application allows you to generate 8.5″ x 11″ PDF reports for each patient to include multiple tracings and comments, if you have them take more than one test. The Clinical Manager Application will run on Windows 7 or later PCs. This device is not recommended for patients with pacemakers.